Haseki Sultan (B. 1506, Rutenya / Lehistan – D. 1558, Istanbul). Her real name was Alexandra Lisowska (La Rossa); she was recognized as Roxelana in Europe. She was the wife of Ottoman Sultan Kanuni Sultan Süleyman and mother of the subsequent sultan Selim II, who became the Sultan later. She was a sultan who played a significant role in the Ottoman history and she was known as the only woman who married an Ottoman with a marriage contract. 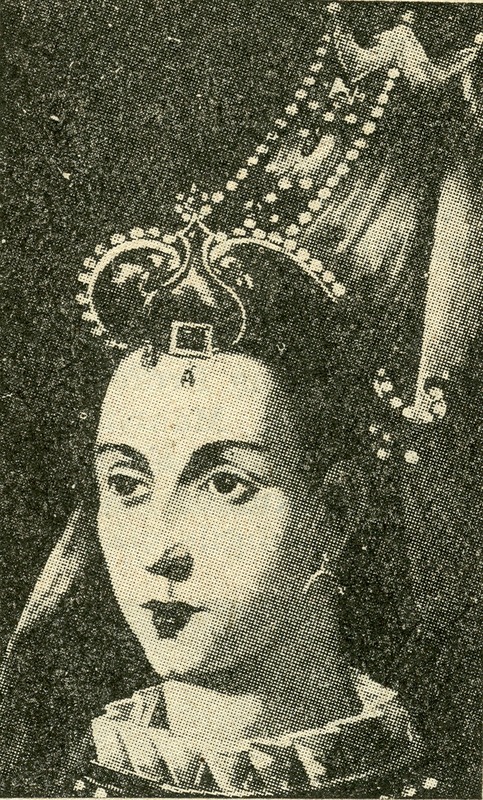 Hürrem, who was from a Polish-born Jewish family, was kidnapped by Tatar raiders in 1520 from the Rohatyn, a city within the borders of Ukraine today, when she was at a young age, around 20 years old because of her beauty. That area was within the boundaries of the Kingdom of Poland between 1184 and 1939. 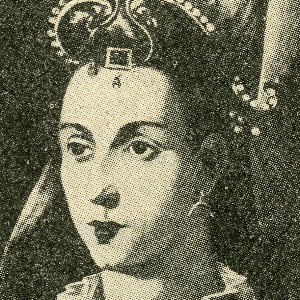 Then Alexandra Lisowska entered under the protection of the Crimean Han and then she was presented the Ottoman palace. Hürrem Sultan was privately educated in the palace. 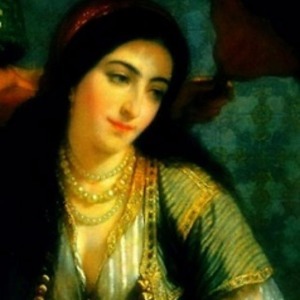 She managed to attract the attention of the sultan with her intelligence and talent, and gained a place among the harem women and the elders of the palace. According to the 16th Century sources, the maiden name of Hürrem Sultan was unknown. But according to later records, for example, according to the first records of the 19th Century in Ukraine, it was Anastasia (Nastia briefly) and according to the Polish tradition, she was known as Aleksandra Lisowska. We know her generally as Hürrem Sultan or Hürrem Haseki Sultan. The name Hürrem of Persian origin, means "easygoing person" in Turkish and Kerîme, in other words "noble person" in Arabic. When Hürrem Sultan came to the palace, Kanuni was the governor of Manisa and he had a son from Mahidevran Sultan named Mustafa. Mustafa became very popular prince in time. It was regarded as certain that he would be the sultan after Kanuni. This situation meant that Mahidevran Sultan would be the Valide Sultan. However, Hürrem Sultan got ahead of Mahidevran Sultan in all respects and became the married spouse of the sultan by gaining Kanuni’s trust and love. She gave five children, one girl and four boys to Kanuni Sultan Süleyman. The eldest son of her children, prince Mehmet was killed as a result of an assassination before ascending the throne. Her second son Selim ascended the throne. Her other sons, Beyazıt and Cihangir were princes. She made her daughter Mihrimah Sultan marry the Grand Vizier Rüstem Pasha. History by applying various intrigues. Hürrem Sultan created an alliance with the Grand Vizier Rüstem Pasha after having her daughter marry him. Kanuni had his son Mustafa, who was much loved by the Janissaries, killed with the belief that he would dethrone him. It is a common belief that Hürrem Sultan affected Kanuni so much that he had his own son killed. Mahidevran Sultan was thoroughly discredited after the murder of Prince Mustafa. She spent a large part of her life in Bursa where the tomb of his son was. However, after the death of Hürrem Sultan, Hürrem Sultan’s son Sultan Selim II put Mahidevran Sultan on the payroll and got a mausoleum built for her son Mustafa. 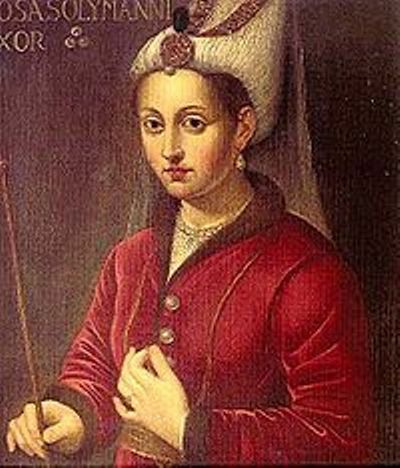 Hürrem Sultan died eight years before her husband Kanuni Sultan Süleyman on April 18th 1558 and she couldn’t see that her son Selim II ascended the throne. Her funeral was buried in the Hürrem Sultan mausoleum near the Süleymaniye Mosque in Istanbul. The inner walls of the tomb are covered with İznik tiles, depicting the garden of paradise. Hürrem Sultan had Mimar Sinan built the Haseki Küliyesi (T.N. Islamic Social Complex) in Istanbul in the Haseki district that is called with her name today; there is a bath, a madrasah and hospital in the social complex that of the construction was completed in 1538-1550. Today, this is known as the Ministry of Health, Haseki Training and Research Hospital and carries the distinction of being the oldest hospital which has been serving continuously in Turkey. Hürrem Sultan also had a kitchen built around the Hagia Sophia Mosque to help the needy and the poor. 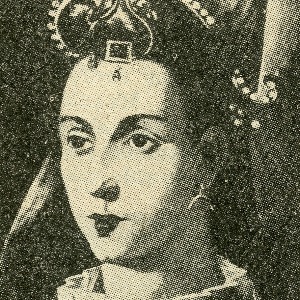 Hürrem Sultan has been the subject of historical and artistic studies such as painting, music and ballet in the modern Turkey as well as in Europe. The 63rd Symphony of Joseph Haydn is an example of these studies. Most of these works have been written by Ukrainians but they are generally in English, German and French. There is a monument to Hürrem Sultan in the Rohatyn, Ukraine which was cited as the birthplace in some sources. In 2007, the Muslim Tatars opened a mosque in memory of Hürrem Sultan in Mariupol which is a port city in Ukraine. REFERENCE: Demet Altınyeleklioğlu / Moskof Cariye Hürrem Sultan (Roman, 2009), Can Atilla / Aşk-ı Hürrem (Danslı oyun, 2003), Erhan Afyoncu / Muhteşem Süleyman; Kanuni Sultan Süleyman ve Hürrem Sultan (2011), Meral Okay / Muhteşem Yüzyıl (Senaryo, televizyon dizisi olarak çekildi, 2011), İhsan Işık / Ünlü Kadınlar (Türkiye Ünlüleri Ansiklopedisi, C. 6, 2013) - Encyclopedia of Turkey’s Famous People (2013).